When one feels, they write. But when one lives what they feel, they write poetry. On World Poetry Day, we celebrate two Indian poets that enriched our literature – Hazrat Ameer Khusrau and Kabir. Born centuries apart, these two poets left behind an affluent legacy for us that lives on even today. Love. How would we know of this emotion, had there not been a poet who puts words to this experience? And how would we know what love means, had it not been Ameer Khusrau’s poetry? One of the greatest poets of medieval India, Hazrat Ameer Khusrau was also the first Indian poet to compose poetry in Hindavi (now Hindi); a blend of Persian, Arabic, Turkish and various dialects of Khari Boli from Delhi. 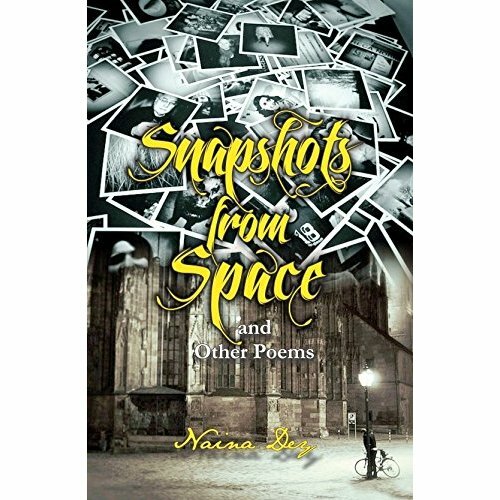 His compositions include poems, riddles, prose, divans, masnavis, treatises, and other compositions. Ameer Khusrau was a man of multiple talents. He also served as a statesman, a scholar, a historian, a musician, an astrologer and last but not the least; a mystic. His poetry had a flavour of mystery or romance. Being a Sufi, his compositions devour the Ishq (love) way of spirituality. He was considered a messenger of God by his teacher Hazrat Nizammudin. Ameer Khusrau’s compositions grow on you. Every word unveils a different meaning the second time you hear it. Such is the magnificence of his writing. It sparks a passion to know the divine presence within. His folk songs traverse one through places they haven’t known before and explore the facet of life and nature in a mysterious way. Wisdom. How can one sail through life’s upheavals without it? And how would one learn wisdom simply, had it not been Kabir’s poetry. A couple of centuries after Ameer Khusrau passed away, another mystic and poet was born – Kabir. His poetries mirrored the societal hypocrisy and enlightened one on choosing the wise path. His teacher Ramananda, guided him towards the ‘Nirgun Bhakti’ path that believes in the formless presence of the Divine. Saint Kabir wrote poetry in dohas. His poems were a rich source of wisdom, that can be applied in today’s world as well. He was highly aware of and usually reflected the relevant social issues like caste discrimination, devotion, work, truth and more. Many of his poem verses also personified nature for the reader to get a better understanding of the context. 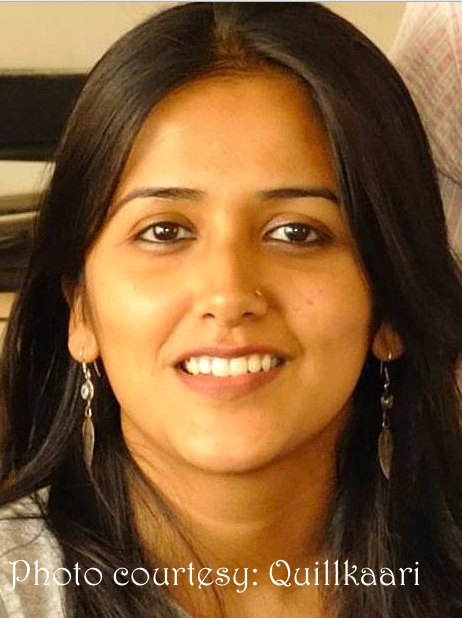 Kabir’s songs make one judicious. His dohas compel one to introspect and turns them into the witnesses of life around them. By learning his poetry, one finds peaceful ways to overcome any situation. Most importantly, they move the reader from the realm of loneliness to solitude. Bindhumalini Narayanaswami. Photo source: With permission from Bindhumalini Narayanaswami’s Facebook page. 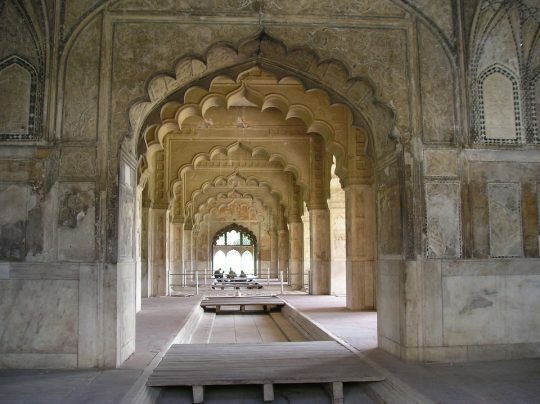 The works of Khusrau and Kabir have been an inspiration for many to write, perform and sing. “Both Kabir and Khusrau were highly evolved souls. Kabir saw differences as illusions and voiced to shed the dualities within and outside. And Khusrau celebrated all the differences in an aesthetic way. But in their own ways, both considered all as one. Singing Kabir dissolves all the differences for me and unites me with the Divine within. 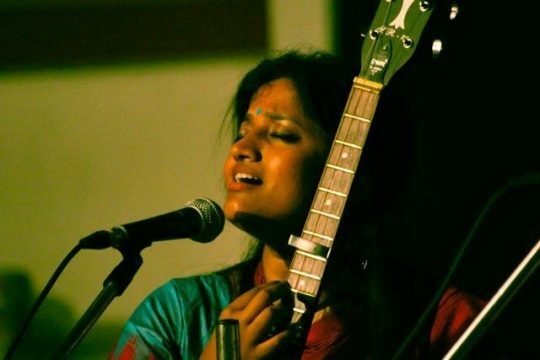 And singing Khusrau makes me cherish love – in every form.” says Bindhumalini Narayanaswami – a singer who has been performing Khusrau-Kabir’s works for years now. 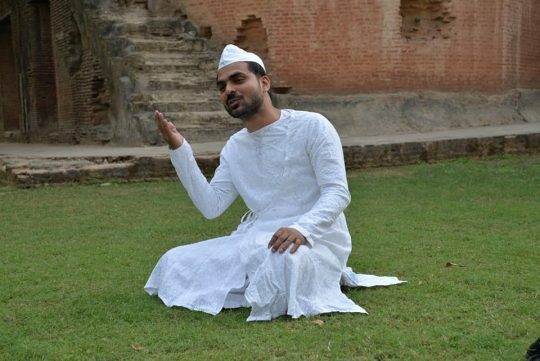 Himanshu Bajpai – a Dastangoi Story-teller. Photo source: With permission from Himanu Bajpai’s Facebook page. As we conclude, this article would have not been possible without the generous contribution by Himanshu Bajpai – a Dastangoi Storyteller who has voraciously read these two poets and has been spreading their messages through Dastangoi performances. Lastly, our only hope is that like us, you too, are inspired to read Khusrau-Kabir’s work and experience the splendour. Please note: The translations are interpreted based on personal knowledge and understanding. They can be perceived differently by other writers.